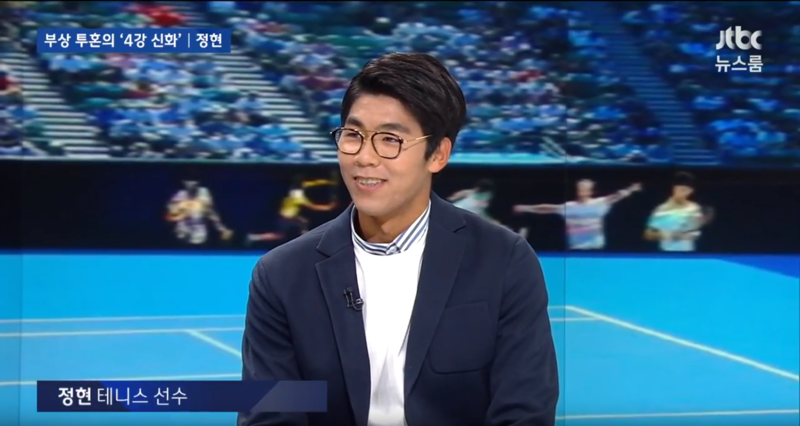 On January 31st, South Korean tennis player Chung Hyeon appeared on JTBC ‘Newsroom’ and had a conversation with Sohn Suk-hee. At the 2018 Australian Open, Chung Hyeon made it to the semifinals as the first Korean player to do so. As an Asian player, Chung was the second after Japanese player Kei Nishikori. During the interview, Chung also talked about his nicknames. Among many, he said his favorite was ‘professor’.